Happy Young Asian Couple Using Smartphone For Selfie While Cooking In Kitchen. 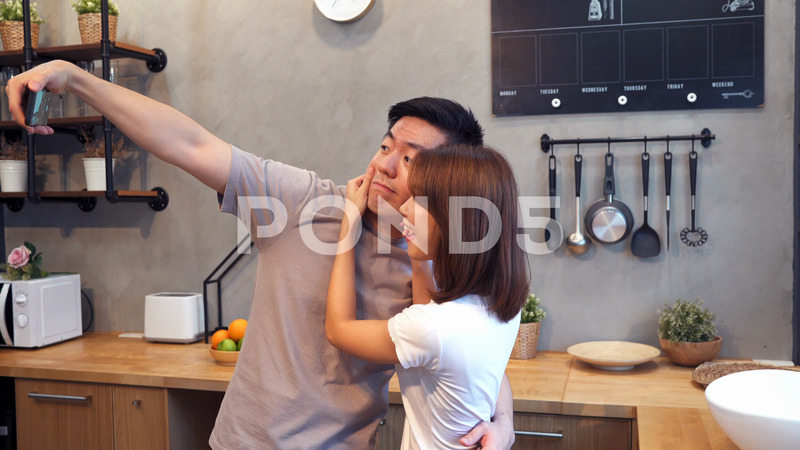 Description: Happy young Asian couple using smartphone for selfie while cooking in the kitchen at home. Man and woman preparing healthy food. Lifestyle couple at home concept.